So you’ve given the flee and tick meds and gave them a bath but you’re dog is still always itching. Try looking at his food! Below is an infographic from Petco explaining some common dog food allergies. This is the time of year when summer weeds can cause serious distress for your dogs. If you’re like me, you may hear all the the medical harm that foxtails can cause, but don’t really know what they are. 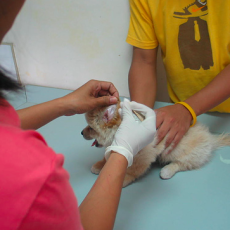 The fact it, they can be extremely dangerous to dogs, most commonly lodging between a dog’s toes, inside the ears, and up the nose. If your dog is shaking his head violently, sneezing excessively, or biting at his paws, you might just have a foxtail to blame. What exactly are Foxtails and where can you find them? The name is given to a number of grasses that have a cluster of spikes at the end that resemble a fox’s tail. They are sometimes called “spear grass” and can be found in lawns, pastures and weedy areas of driveways. After doing more research on these nasty little buggers, I immediately went outside to my yard and inspected for their presence, and sure enough, there were many. The foxtail’s amazing design allows them to easily lodge onto any unsuspecting passerby, especially animal fur, and only move in a forward motion – even penetrating skin. If pulled back the barbs get involved and break off from the head. Quite a nuisance for any furry creature. 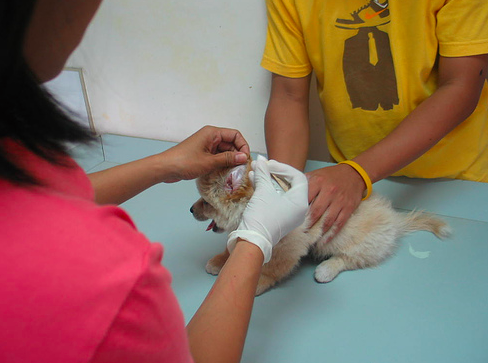 In order to prevent a trip to the vet for foxtail removal, there are a few measures that you can take to avoid exposure. Look up images so you know exactly what they look like. Then, take a look around your own yard in all the areas that your dogs roam, and you might just find them. Keep the grass short, and mow often to keep the foxtails from forming. The grasses and weeds themselves aren’t the problem, it’s the untamed bushy “tail” that forms when unattended that you want to destroy. Be sure to check inside their ears and between their toes. Also, avoid hiking and picnicking where weeds and tall grasses are growing. 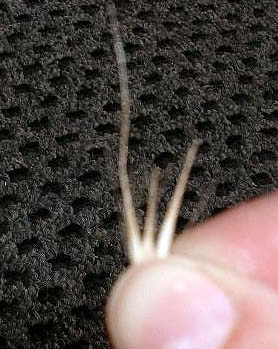 If you find a foxtail lodged in your dog’s fur, or you suspect one had been lodged in an orifice, contact your vet immediately. Remember, you could make it worse due to the foxtail’s design. Take time to scour your dog’s outdoor areas, and always do a thorough check over your dog’s body daily.